Nikon has explained the reason behind its decision to discontinue the D300s and D700, stating it is because of a Japanese law, and doesn't affect global sales. Speaking to TechRadar, a Nikon representative said, "The D300s and D700 have been discontinued in Japan as they no longer comply with Japan's revised Electrical Appliance and Material Safety law." The law, which was initially brought in during 2008 is designed to prevent hazards and disturbances resulting from electrical appliances. It was revised in November 2011, which is the apparent reason for Nikon removing these products for sale in Japan. The rumour mill has been buzzing about impending Nikon releases for some time now, with many taking the official discontinuation as a sign that new DSLRs were imminent, however Nikon has assured that it is relevant to Japan only. "This law does not affect the production and shipment of the products for sale outside of Japan," said the representative. 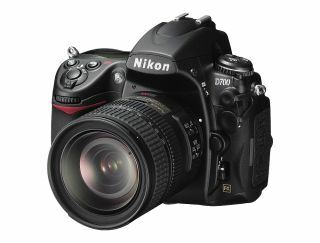 Rumours have suggested that a new Nikon D800 camera could be unveiled as part of the upcoming CP+ show in Japan. Other Nikon products have also been affected by the new law including batteries and wireless transmitters, while other companies have also had to make product changes to comply with the law.